The nation's top beach, souvenir and resort lines. Unique new designs. A versatile selection custom-tailored to the buying interests of the Gulf Coast tourist trade. It's all here. So close by at the Boardwalk Beach Resort. So if you're looking for a cost-effective, convenient way to find everything you need for your busy season, this is your best bet for a close buy! 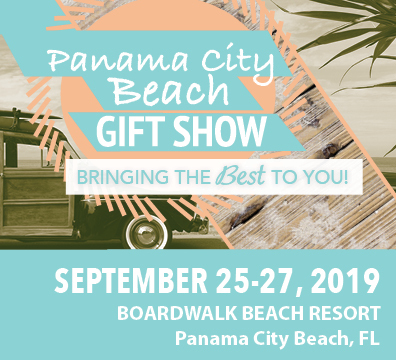 Panama City and surrounding area retailers will benefit from a tremendous selection of merchandise that's been truly customized to reflect the buying interests of the Florida Panhandle and surrounding Gulf Coast tourist trade. These buyers enjoy the fact that they can see such a great selection so close to home, including: destination, resort and tourist merchandise, souvenirs, beach items, resort wear, T-shirts, general giftware, logo products, fashion accessories, shell items, coastal and nautical themed products, toys and games and much more.